Your business will have different facets, with each of these departments or sectors requiring different styles of accommodation. 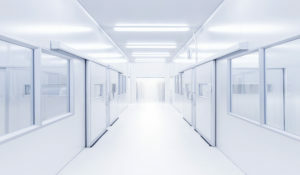 Research and testing facilities, for example, will have an obvious need for laboratory space. But at the same time, they will also have administrative staff to carry out the background tasks required to run the business. The probability of being able to have both on one site is low. Thus the only real option is to operate a dual business location. The laboratory facilities at a specialist site whilst the admin staff, marketing department, accounts and the like are at another office space. Location and logistics– both facets of your business will have specific requirements. You will need a certain style of laboratory and office accommodation that provides the right kind of space. Finding both separately can mean that you have your laboratory facilities on one side of town and your office some miles away. The split in the company– it is a physical division or split in your company and this can lead to two very different groups of staff. Most businesses will try to unify their company both in terms of ethos and physical location too. Two sets of overheads– and the price of running two locations means you have twice the overheads. How much easier would it be to have all your departments, including the specialist laboratory division under one roof? Laboratory space to rent in Derby complete with office space and any other kind of business accommodation you require is a possibility – and it comes in the shape of RTC Business Park. Offering a range of accommodation, you can have all of your staff on one site so no more running between the laboratory and the office some miles away. Overheads will also come in one sum, rather than being split over two. And best of all, no one has to compromise. Your office based staff can work from an office environment that suits the range of activities they carry out and your specialist laboratory staff have all the latest tech at their fingertips. Heal the physical divide of your business by taking a closing look at the range of business accommodation at RTC Business Park.